← When I was sick, you comforted me! 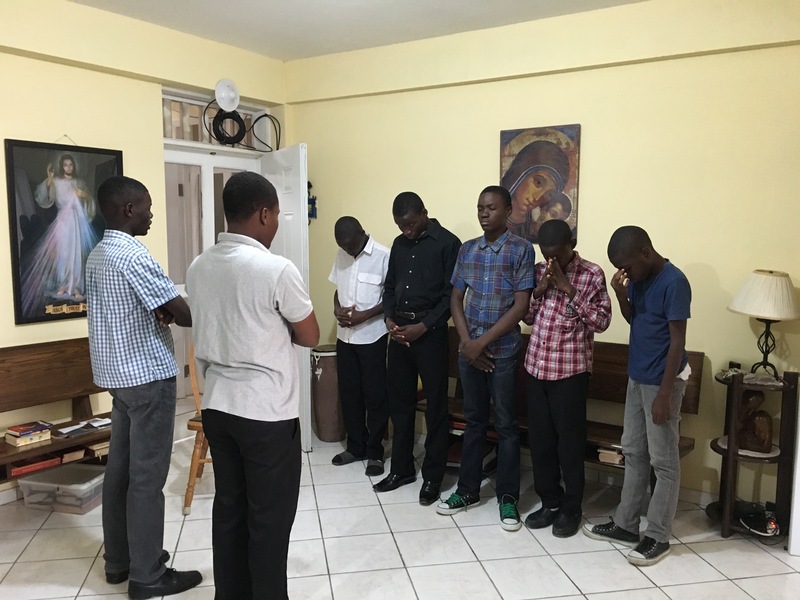 On Monday, March 7, five of our teenage boys met in our chapel for their first class to learn to become altar servers for our Saturday evening Masses which are celebrated in our chapel. These five boys received the Sacrament of Baptism and Communion last year at the Easter Vigil. They now are preparing for Confirmation. Alex, who is the head altar server of St. Michael’s Parish, together with Jerry, conducted the class. The boys were given the importance of serving at the altar of God and their call to be good examples for others. As you can see, they came to the meeting in their Sunday best. This tells us they are taking this privilege and call seriously.